Our mission is to reduce the number of senior dogs who die alone in shelters. When we decided to bring Lincoln home, we knew we were on borrowed time. 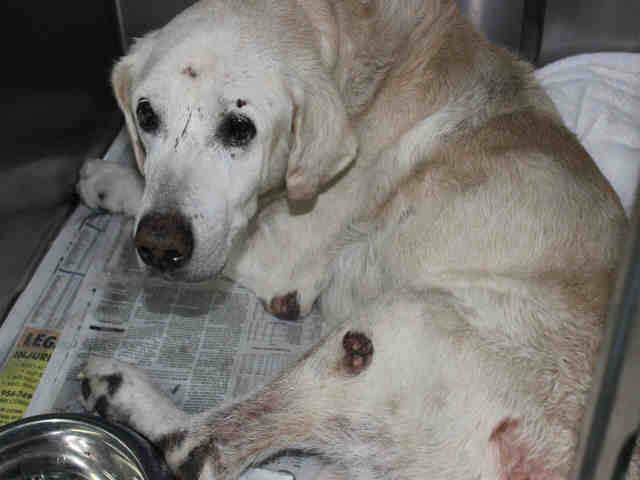 He had been picked up as a stray in rough shape and the shelter notes told the story of a really old dog with a host of medical issues. But our mission is to reduce the number of senior dogs who die alone in shelters, and we decided that giving him even just a few days of happiness would be worth it. 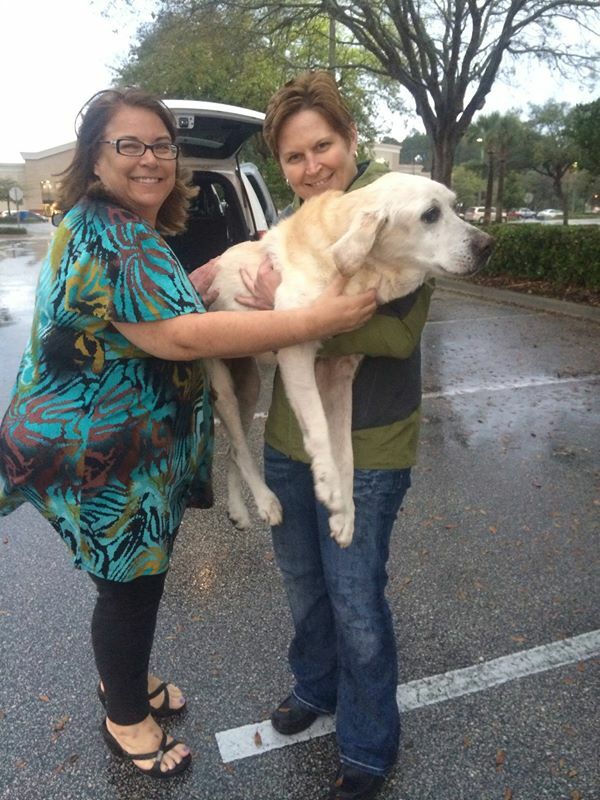 Our friend Susan offered to pick Lincoln up from the shelter and take him to a local animal hospital for evaluation and treatment while we figured out how to get him from Miami, FL to Savannah, GA – a distance of 500 miles. The transport plan came together easily enough thanks to Team Newman, a wonderful group of animal lovers who helped another old yellow lab make that same trip last year. Susan picked Lincoln up on Sunday, February 8, and we decided he’d make the trip to Savannah that following weekend. 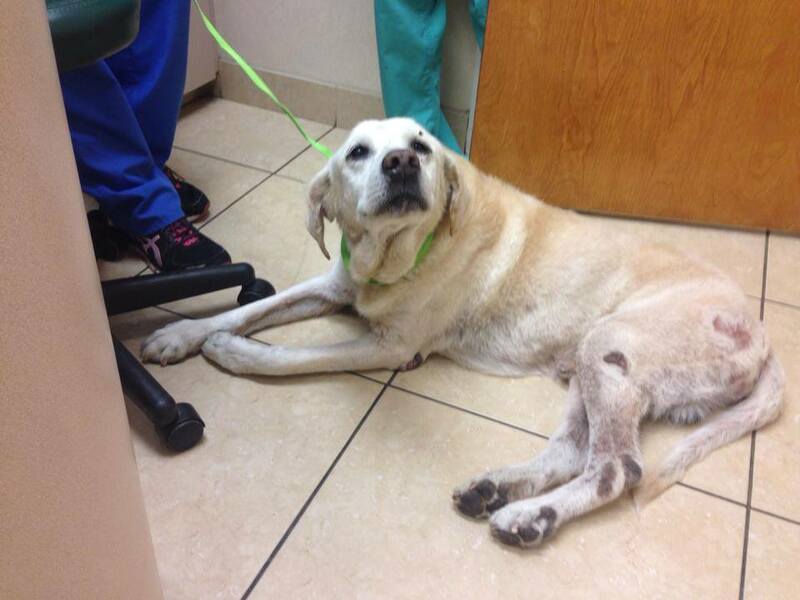 Plans changed, however, once he was evaluated by a veterinarian. Lincoln was unable to stand or walk on his own and, based on the x-rays and her exam, the vet didn’t think he would ever walk again. When she called us with the bad news on the morning of Monday, February 9, she said the kindest thing we could do was let him go. 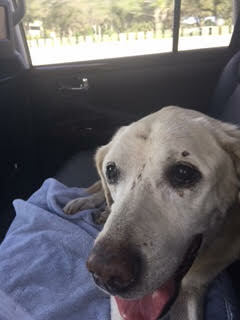 We are firm believers in quality of life over quantity of life when it comes to old dogs, so we agreed. We told her just to wait a few hours while we reached out to friends in the area to see if one of them would be willing to go sit with Lincoln while he crossed the Rainbow Bridge. Our friends Wendy and Susan both said they would go and be with him if we needed them to, but for some reason we just couldn’t bring ourselves to call the vet back. There was something that just wasn’t sitting well with us and, even though we hadn’t met him yet, we weren’t ready to let him go. The only issue was, bringing him to Savannah meant he would have to stay at the animal hospital all week, unable to walk, while waiting for his transport, and that didn’t sit well with us either. While we were trying to decide what to do, Wendy called us back and said something to the effect of, “If you want to get him to Savannah today, I will take the rest of the day off, rent a van, pick him up and start driving north on I-95. Why don’t we just start driving towards each other and see where we meet.” Our first thought was, Wendy is crazy, in a good way. Our second thought was, yes, let’s do this! We called the vet back and explained our plan and asked if she was comfortable sending Lincoln home with some strong pain meds so we could fill his last few days with love instead of him having spent his final days in a loud, scary shelter. She said she was good with the plan but asked us not to drag it out. So she got Lincoln ready to go, Wendy rented a van, Susan paid the vet bill and then we all got a huge surprise. When Wendy went to pick Lincoln up – he stood up. All by himself! Wendy said no one was more shocked than the vet. Somehow Lincoln must have known that life was about to change for the better and it was worth sticking around for awhile. The vet called us back, expressed her disbelief, and provided some additional treatment suggestions if it looked like Lincoln was going be with us for more than a few days. They got him loaded up in the van and Wendy started driving north while we started driving south. Our friend Jessica from Labrador Retriever Rescue of Florida was part of the Team Newman transport last year and would have been part of the Team Lincoln transport if things had gone as planned. When she heard about our revised plan, she suggested a place for Wendy and Lincoln to meet us right off the freeway in Daytona Beach, which is almost exactly halfway between Miami and Savannah. She also offered to come out and help as needed during the hand-off. So there we were, standing in a Panera Bread parking lot on a rainy night, three dog lovers meeting in person for the first time and one very old dog. Any doubts we had about being crazy dog people and bringing Lincoln home for just a few days and having our friend Wendy spend more than 8 hours in the car on a rainy night to help him get here – all of that disappeared the moment we saw his tail wag. He was happy to be on this journey. Wendy had already nicknamed him the “Mouth” because after she stopped and treated him to McDonald’s, they were back on the road when she saw a flash of yellow come up from the back of the van as Lincoln lunged forward and helped himself to her food as well. Lincoln had an undeniable will to live and he was going to get that chance thanks to Wendy and Susan and the rest of Team Lincoln. We brought Lincoln to see our friends at Central Animal Hospital the next day. 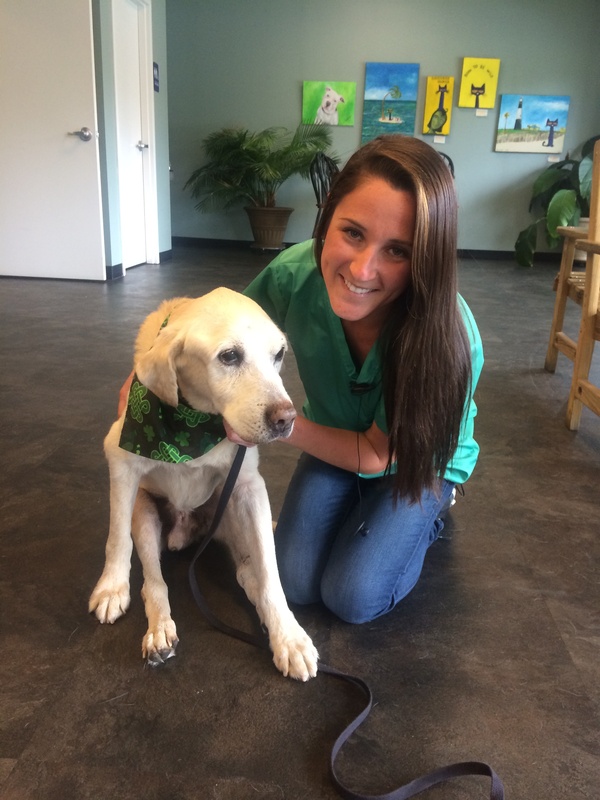 Not only did Dr. Alex Hill donate his time and services, but he also donated a series of laser therapy treatments to help Lincoln’s arthritic body. 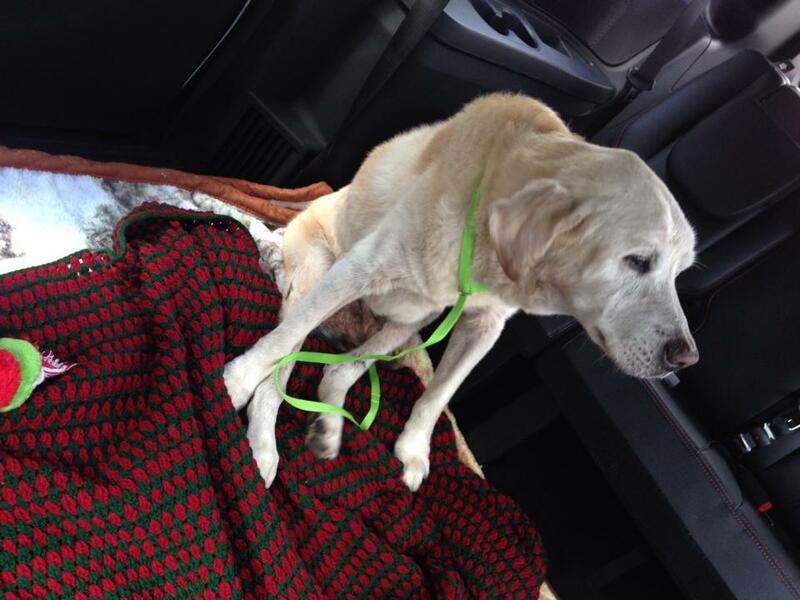 We were starting to see a trend with this dog – his courage touched others and they went out of their way to help him. Lincoln loved going to Central Animal Hospital every few days for laser therapy because it meant he got to see all of his friends who work there. And he used his big brown eyes to convince all of those friends to give him “cookies”. Lots and lots of cookies. They figured out why he was nicknamed the “Mouth” and learned to be very careful with their fingers when handing him treats. 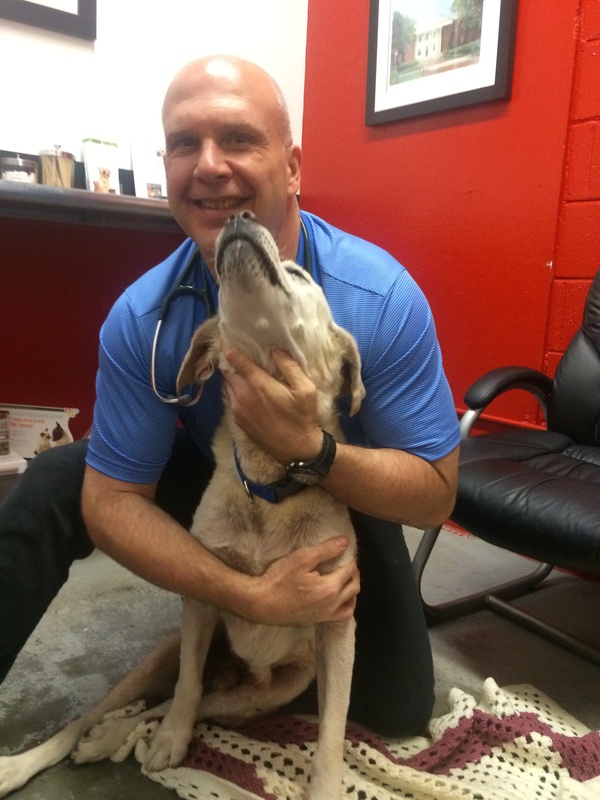 We also went to see an orthopedic specialist in town, Dr. Paul Shealy of Coastal Empire Veterinary Surgery. We did some research online and discovered that Dr. Shealy had an underwater treadmill, which sounded like it might be good physical therapy for Lincoln. We asked Dr. Shealy if he would donate his time for a consult, and he ended up generously donating his time and all of his services. 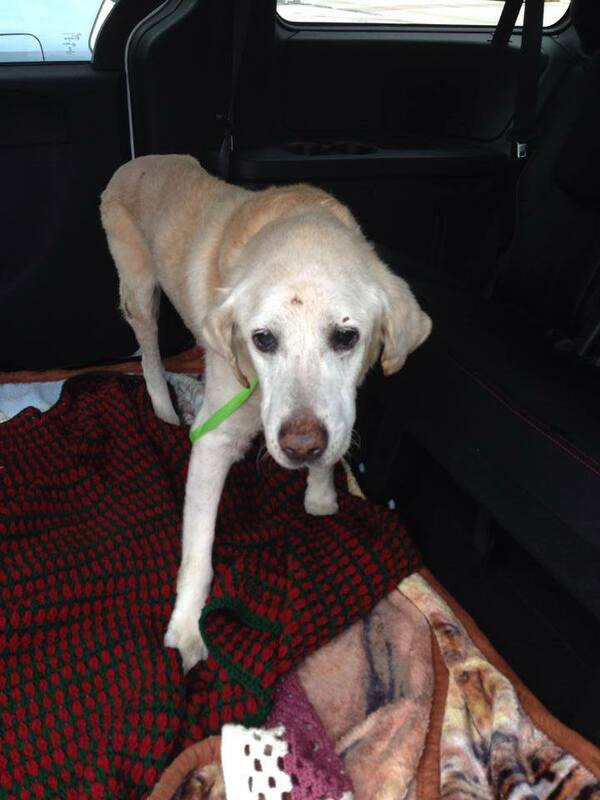 It was during that visit that we discovered Lincoln had bone cancer in addition to the severe arthritis. Dr. Shealy said the treadmill was out because the pressure could cause the leg with the cancer in it to break, but he offered to donate weekly polyglycan injections to ease any arthritis pain Lincoln might be feeling. Between the injections, the laser therapy, the pain medication, and the love, life was good and Lincoln seemed happy. 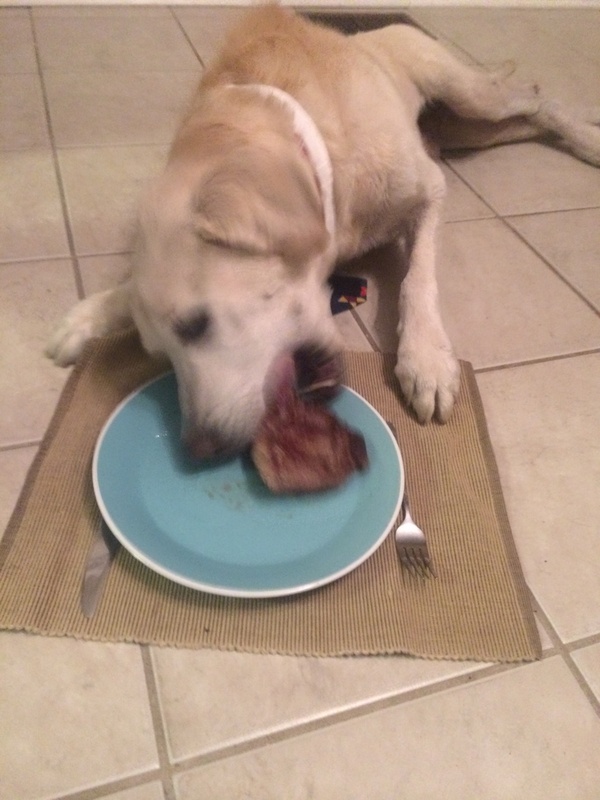 He had a steak fund created by his friend Susan, which meant we were able to spoil him with frequent steak nights. We did learn that we needed to cut the steak up before setting it down in front of “Mouth”. There was a minor incident on the first night when he made a steak disappear in less than two seconds and tried to swallow it whole. He also received special care packages from his friend Stefani. The first one was full of treats, the second one was full of homeopathic meds for him to try. 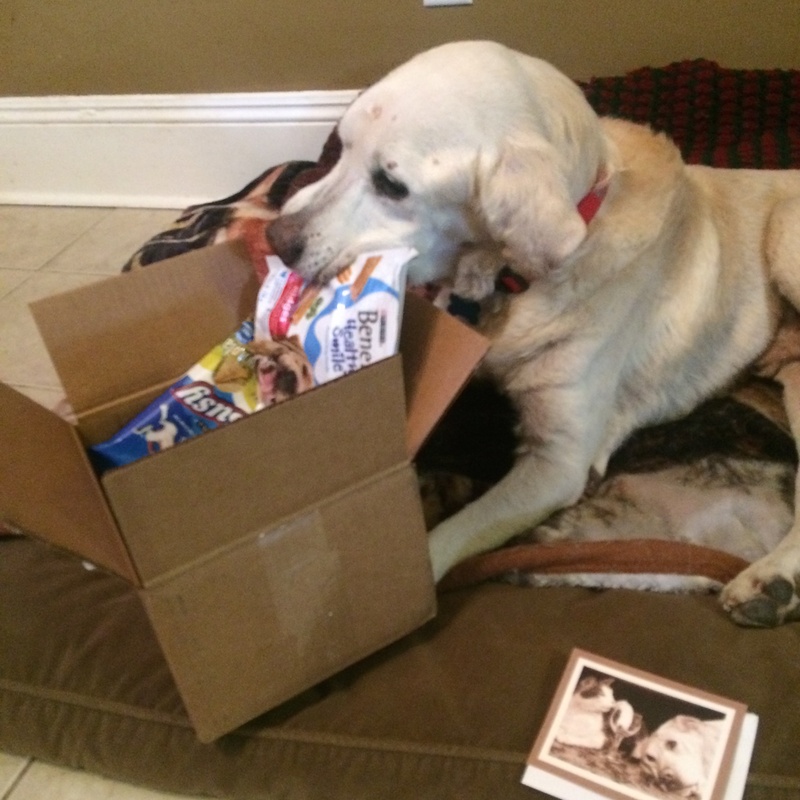 He needed no help opening up his special deliveries and we know it made his day to know that his friends were thinking about him. 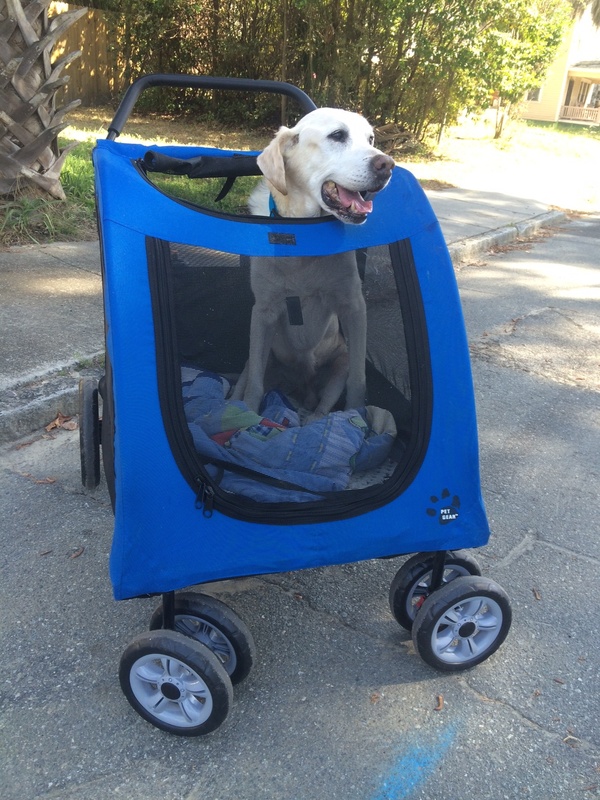 We also realized we had a dog stroller up in the attic that we hadn’t used in years. We brought it down and decided to give it a try. It was obvious from his maiden voyage around the neighborhood that Lincoln loved his stroller. He loved feeling the wind in his hair and being able to get out of the house for fresh air and adventures. It was a great six weeks. It was so great, in fact, that we almost forgot that we were on borrowed time. Until a few days ago. Unfortunately, the cancer and other issues caught up with us, and Lincoln went downhill very quickly. The day he arrived we promised him that we would let him go as soon as the pain got too great to bear, and we could see in his eyes that this was that time. This stoic dog stayed around long enough for us to love him and spoil him and for him to teach us about appreciating each day and each other. And then we had to make the painful decision to let him go. We always hesitate to share the sad updates because it is so much more fun to focus on the happy ones. 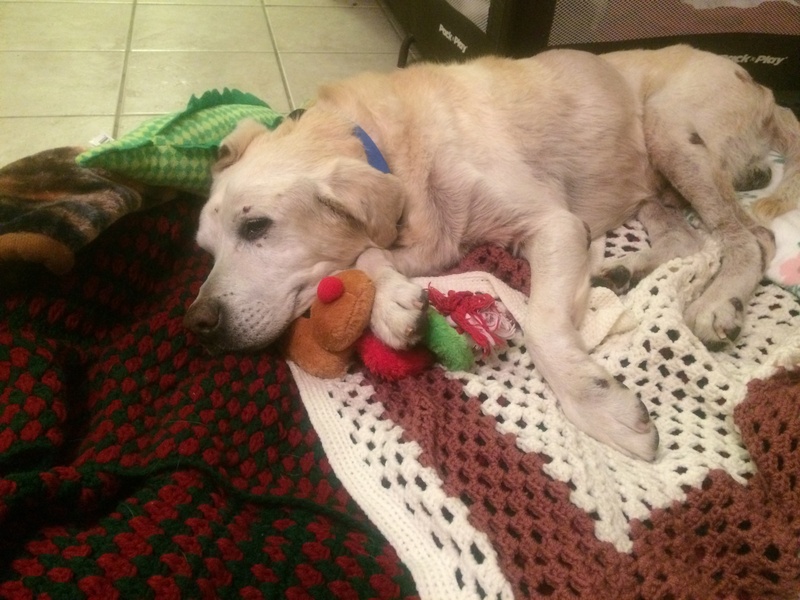 However, we hope that even with stories that end too soon – like this one – you will recognize the beauty in coming together as a community to change the lives of old dogs and show them what it means to be loved, if only for a short time. Although our hearts are breaking right now, there is a certain peace that comes from knowing that Lincoln’s last six weeks were filled with steak dinners, stroller rides, care packages, and love – lots and lots of love. 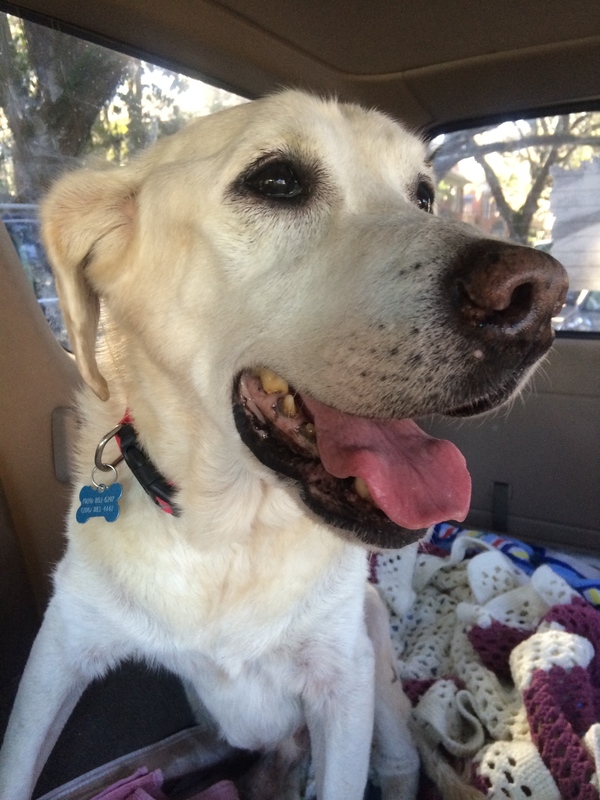 Whenever we think of Lincoln for years to come, we’ll remember how happy he was, how brave he was, and how deeply this wobbly old arthritic dog touched the hearts of everyone he met. Rest in peace, Lincoln. We love you. Lincoln playing with Noah: Click here to watch. Lincoln doing laps around the yard: Click here to watch. Lincoln rolling in the leaves: Click here to watch.